Geothermal energy is still a marginal player in the energy mix, but geoscientists will be needed to help it play its part in the energy transition. Estimated renewable share of total final energy consumption. The Energy Transition is well underway and is here to stay. Although fossil fuels provide 80% of the world’s energy demand and are forecasted to remain an important player in the coming decades, alternative sources of energy have taken off and are on the radar of countries wishing to develop economies less dependent on fossil fuels. The past decade has seen a steady increase in the uptake of renewable energy sources, mainly in solar and wind, as the energy transition has been focusing on ´electrification´, meaning that policy measures encouraged investment in projects involving these technologies worldwide. As a result, technology costs for predominantly solar (solar thermal and PhotoVoltaics) have been going down, spurring an even higher level of investment interest. However, demand for power accounts for only 20% of global energy consumption. Despite the focus on electricity, the real game changers in the Energy Transition will be alternative fuels for transport, which accounts for 30% of total energy consumption, and for heating and cooling (50%). The Monterotondo Marittimo geothermal power plant in Tuscany, Italy dates back to early in the 20th century. Photo credit: Fabio Sartori. 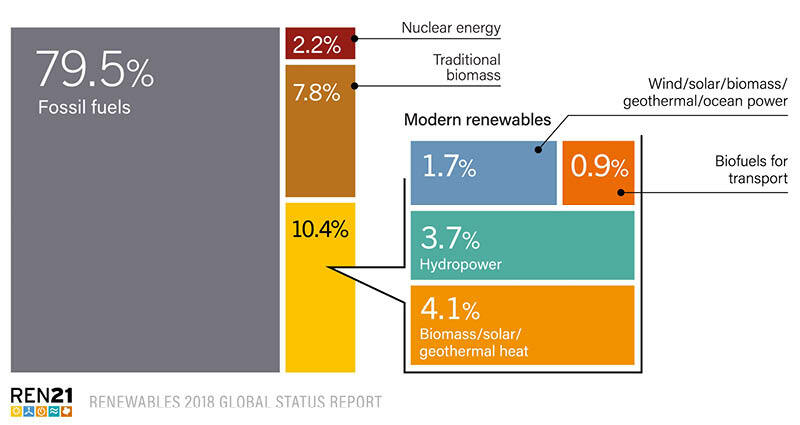 In today´s renewable energy mix, geothermal energy is still a marginal player, providing a little over 1% to the worldwide power demand and about 3% to the heat demand1. 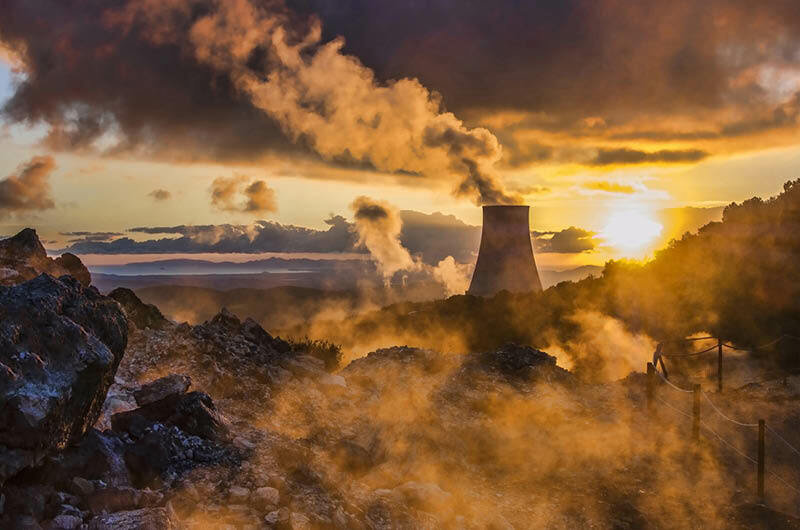 The potential of geothermal, on the other hand, is huge as there is a phenomenal amount of heat stored under our feet2 – but tapping into this, exploiting geothermal energy as a cleaner and greener alternative to coal, oil or gas is another thing. As a geologist myself, and having built my career in the oil and gas industry prior to joining the International Geothermal Association as its executive director, I am passionate about advocating geothermal as a reliable, affordable, alternative source of energy. In order to create space in the future energy mix there is a need for keen passionate subsurface professionals, who are not averse to taking risks but also understand that when dealing with a natural resource almost anything can happen. I will then discuss the need to train geoscientists on geothermal reserves definitions and resource classifications. Where Are The Highest Subsurface Temperatures Found? Areas with the highest subsurface temperatures are found in regions with active volcanoes close to tectonic plate boundaries, or where the crust is thin and heat can rise easily. These plate boundaries, often referred to as the ‘Ring of Fire’, have volcanoes associated with them: hot spots which are seismically active, meaning that temperatures between 200° and 500°C are relatively easily reached. Iceland’s Blue Lagoon: swimming in silica, the run-off from the Reykjanes Geothermal Power plant. © Jarcosa/Dreamstime.com The first countries to pioneer harnessing the high temperature or high-enthalpy resources of the naturally occurring hot spots were Italy, which established a geothermal powerplant in 1904, New Zealand (Wairakei, celebrating 60 years in 2018) and Iceland, which is particularly strong in geothermal project development, having transformed its fossil-fuel-dependent economy to a 90% renewable-based one sourced by hydro and geothermal. 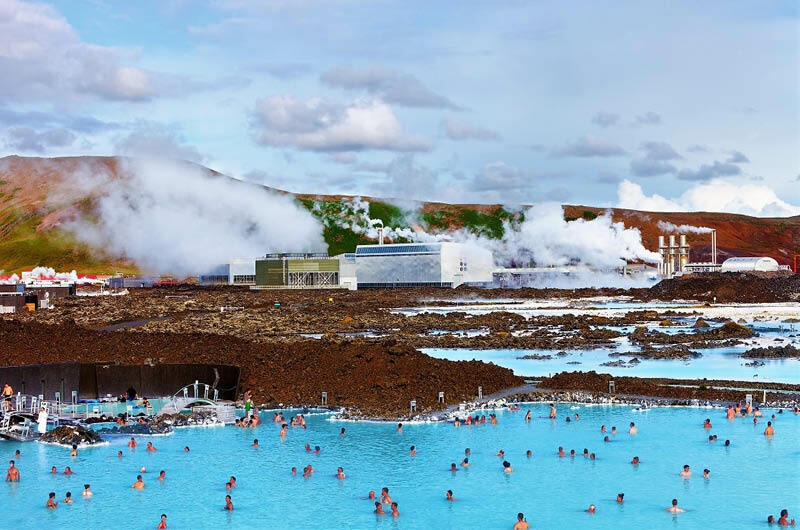 Iceland is also forward-looking regarding creating additional revenues from the geothermal power plants, the best known example of which is the Blue Lagoon. In addition, recent initiatives around the production of hydrogen and methanol is certainly an interesting way of making multiple use of the geothermal brines. Where Else Can Geothermal Resources Be Developed? Although hot spots have been the incubator, they are certainly not the only areas where geothermal energy can be tapped – good news for those countries not situated on top of a volcano. Geothermal resources can be developed from basement rock such as the granites in Soultz, France (Electricité de Strasbourg) and Espoo, Finland (ST1) and from deeply buried sedimentary basins (Triassic) at various depths between 3 and 6.4 km, as has been done in Netherlands, France and Finland. These deeply buried reservoirs are in some cases hydrothermal (water-bearing reservoirs) or petrothermal (so-called Hot Dry Rock), but both need stimulation and enhancement techniques in order to create flow in the wells, as these reservoirs are typically tight with little permeability. Enhanced geothermal system (EGS). Credit: Energy.gov. In addition, hot dry rock reservoirs require cold water to be injected which, once heated, is pumped back to surface by the producing wells. 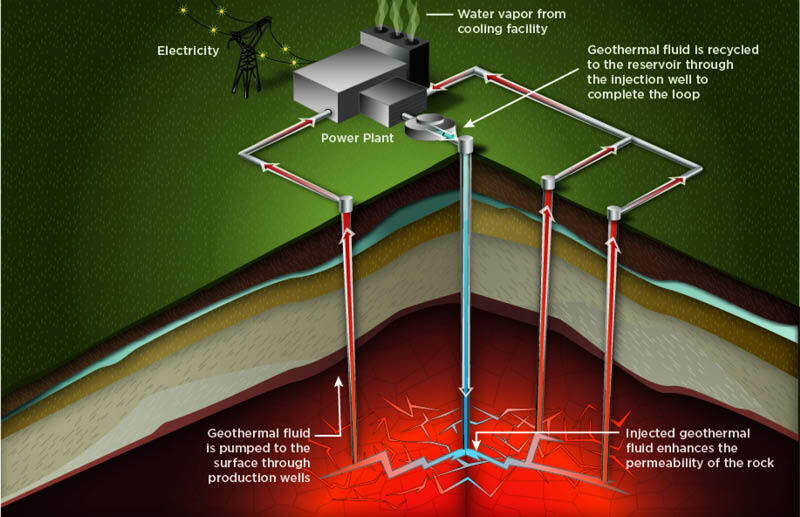 Both geothermal developments fall under the category of Engineered or Enhanced Geothermal Systems (EGS) and it is this EGS technology that attracts most of the R&D attention in the geothermal space globally, as it is considered to be the game-changer for geothermal development especially in low temperature (low-enthalpy) environments, i.e. bottom-hole temperatures of up to 150°C. Focusing on Enhanced Geothermal Systems? Q. Why focus on EGS and how come this may be the game-changer for geothermal uptake? As countries adhere to the Paris Agreement, they will want to offer their citizens clean, green and affordable energy, so they will need to set policies on heating and cooling, amongst other things3. The first option for geothermal to come into play is for it to become competitive in firing up combined heat and power (CHP) plants to co-produce electricity and heat. Worldwide, coal-based power plants are the most widely used, but it is expected that countries will shy away from coal in the coming decade, according to the World Bank, which announced early in 2018 that it will discontinue investing in coal-based power plants4. As the demand for power and especially heat will come from cities for district heating networks and industrial purposes such as the food processing industry, the geographic location of a geothermal power plant becomes a strategic investment decision. Hence, having the right production technology in place to stimulate and enhance those potential reservoirs close to the strategic locations of future CHP plants, and in some cases repurposing existing fossil fuel-based CHP plants, is crucial for geothermal success. Being competitive therefore means that costs need to go down for geothermal projects. According to the US Energy Information Administration projections for 2040, geothermal power plants will be one of the cheapest options, with a projected levelized cost of electricity of around US$ 0.05 per kWh5. Geoscientists and reservoir engineers working in the oil and gas industry are trained to report the quantities of their reserves and the resources of their prospects, projects and assets, according to industry recognized standards. These are key metrics in order to facilitate comparative valuations of the reported reserve and resource assets of different companies, which in turn provide investors with confidence to invest and allow the firms to raise equity on the stock markets. 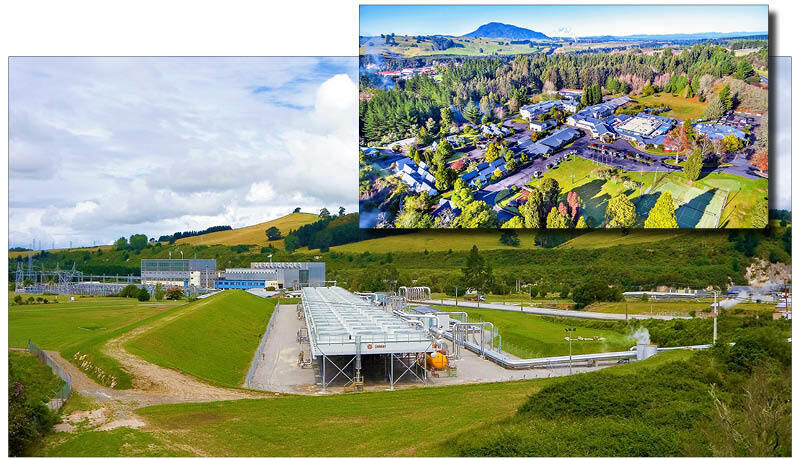 The Wairakei thermal area features New Zealand’s oldest geothermal power station, which produces c.1,300 annual GWh of electricity and was built in 1958 – it is one of 13 geothermal power stations in New Zealand at present. Geothermal energy is also used directly to heat all the rooms and pools of the adjacent Wairakei tourist resort. Photo credit: Bruce Winslade. In the geothermal community, however, there is a lack of clear global guidelines and standards, which is significantly holding back the assessment and development of geothermal energy as a viable option at a global scale. The planning and funding of energy infrastructure is based, to a large extent, on the comparative potential of different energy options in different locations. A proper comparison of those possibilities requires globally consistent methods of assessing and classifying energy potential. National agencies in many parts of the world have no experience or guidelines as to how to assess, quantify and classify their local geothermal potential. In addition, those agencies that have assessed geothermal potential within their jurisdictions have developed and used their own local methodologies and terminologies, which are not necessarily comparable with other jurisdictions6. The United Nations Economic Commission for Europe has led an effort to develop a harmonized methodology for classifying and reporting fossil and renewable energy resources under the United Nations Framework Classification for Resources (UNFC, formerly UNFC2009). This was finalized in 2016 and includes 14 case studies7. The International Geothermal Association is working with the International Renewable Energy Agency and the World Bank to deploy the UNFC code in a pilot project targeting four different countries. Work started in Indonesia (Flores Island, Bandung) in March 2018 and the committee is now looking into Ethiopia, a cluster of Small Island States in the Caribbean, and the Central American region. The pilot project is about raising awareness of the code itself and the value of adopting a standardized guideline, and emphasis is on training regional geoscientists and engineers in the four pilot regions. Given the importance of having a unified reporting standard for both reserve definitions and resource classification, it is highly probable that more countries will adopt the new guidelines. Understanding the UNFC code and its application to prospects, fields and assets will be a fantastic competence for the geothermal professional to have in the coming decade. Geothermal, albeit a marginal player today, has the potential to become a strong actor in the global energy transition. The IGA is working with leading oil and gas associations such as the EAGE, AAPG, and the IADC to jointly work on cross-over initiatives around co-production of electricity and heat in dual plays, on novel drilling tools able to withstand high temperatures, and on setting global standards and certifications both for geothermal well designs and production strategies in low-enthalpy environments. There is a wealth of knowledge, strong leadership and a thriving safety culture in both industries. Stimulating interactions between the two communities and jointly tackling some of the required technology breakthroughs will be inspirational for both the seasoned industry professional and for the recent geology graduate on the outlook for a sustainable energy career. Encouraging partner employment in oil & gas with non-profit, international initiative Permits Foundation - to make it easier for expat spouses and partners to gain employment.